A new project is always an exciting time at CAP.Co. 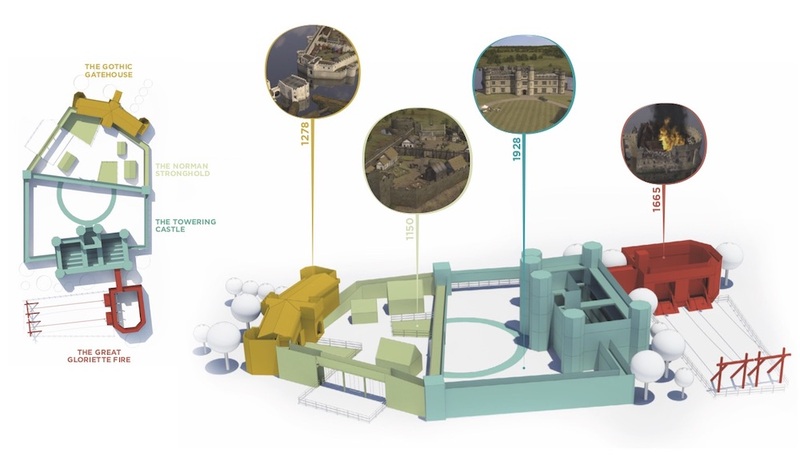 They are even more exciting still when the project is one that’s drawn its inspiration so comprehensively from the history of its place. 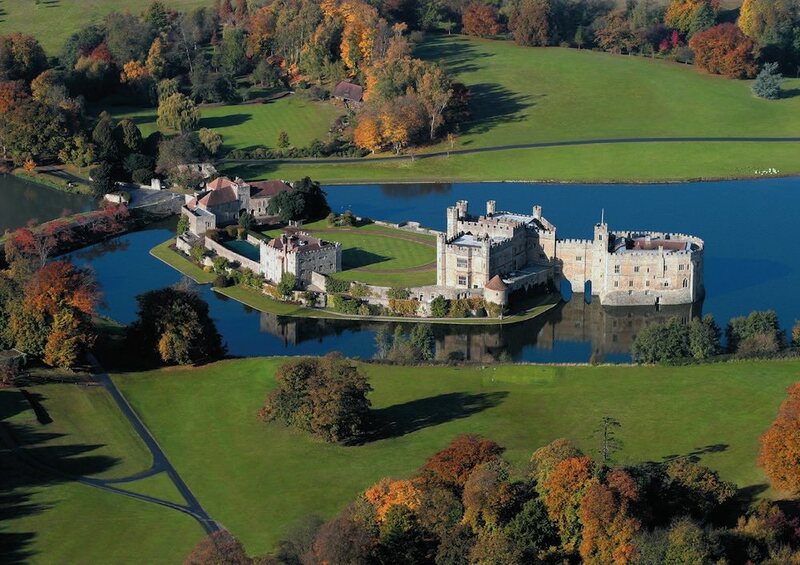 Leeds Castle, as the name would(n’t) suggest is a castle in Kent, England, near the town of Maidstone. It is built on an island in a lake that leads from the River Len. It is close to the village of Leeds, which is where the name actually comes from. 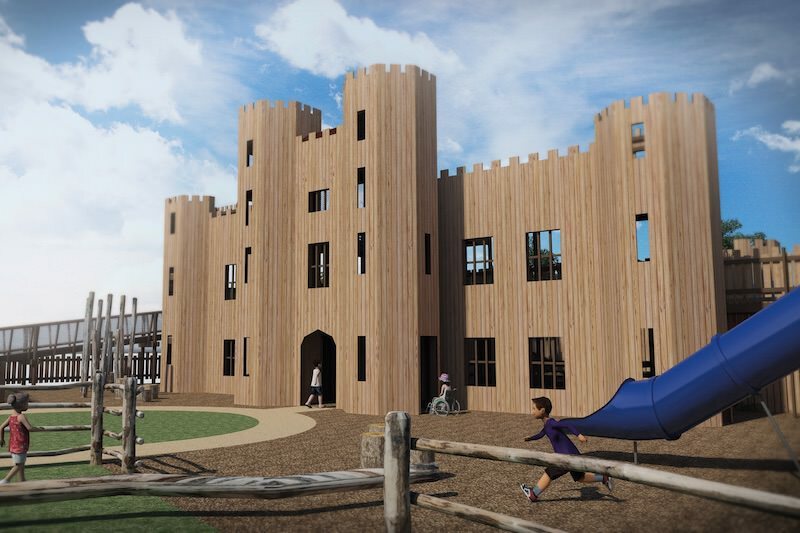 The castle dates back to 1119 and was originally built by Robert de Crevecoeur as a military stronghold to repel Norman invasions into England. By the 13th Century it was owned by King Edward I and then in the 16th century, Henry VIII used it as a home for his first wife, Catherine of Aragon. During the 1600’s it was then used as prison and Arsenal during the civil war, before suffering major damage in 1665 when Dutch Prisoners set fire to the Gloriette. It then lay in a poor state of repair until it was rebuilt in 1822 as the castle we see today. 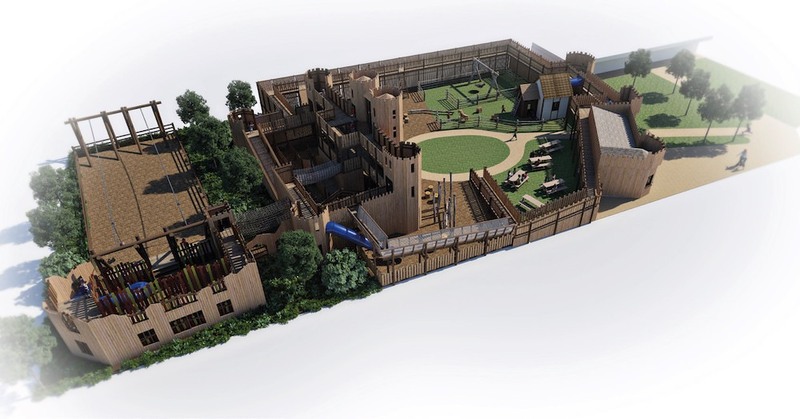 You can see from this plan that the four different areas of the new adventure play draw inspiration from the four significant changes of use of the castle through its long and varied history. These grand design ideas can often be amazing in principle, super exciting on the drawing board, but then be let down by the delivery of the play itself. 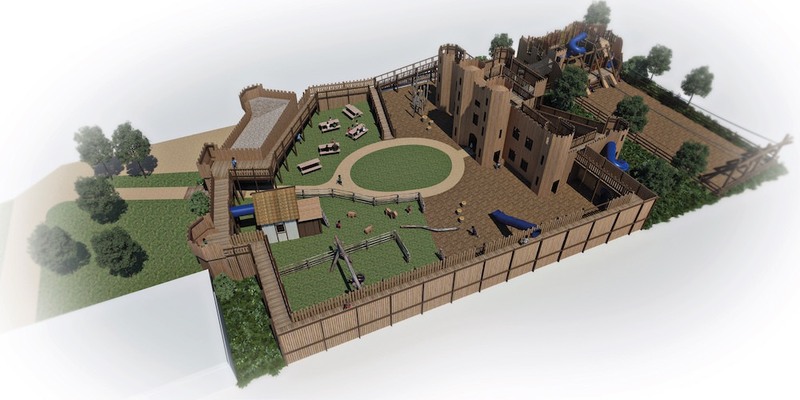 In this case, the secret behind the walls of the stronghold is that the play itself is perhaps even better than it looks from the outside, with discrete play areas representing each of the castle’s eras. So, let’s have a look around. 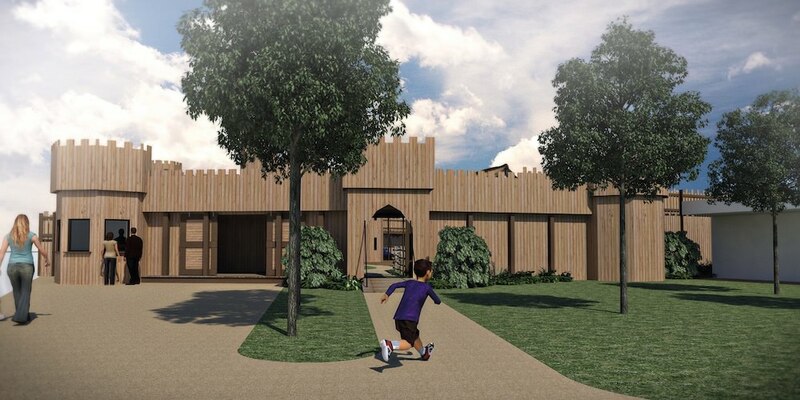 So from these images you can see what we’re building and get an idea of the overall scale of the project. Over the next few months, we’ll show you the team on site and start to reveal the build in the flesh. 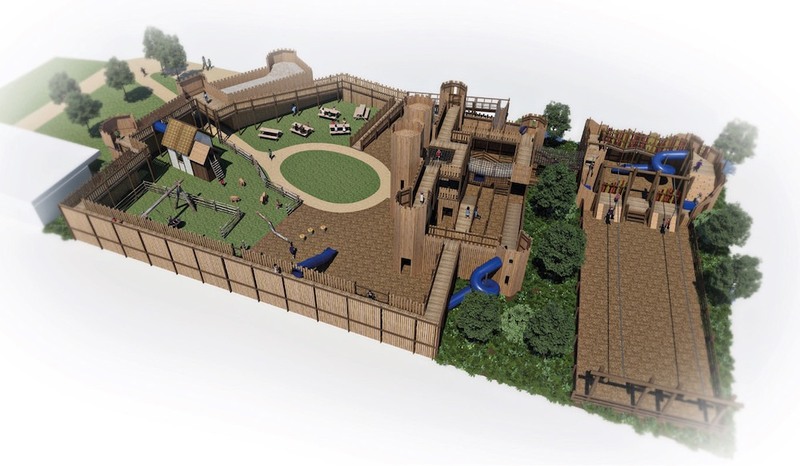 We’ll have drone footage so you can get a birds eye view and then some low level close-ups to show you the detailing. So if you haven’t done already, please subscribe to our newsletter or sign up for updates on our website.